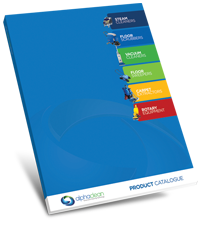 You are here: Home / News & Updates / Alphaclean / Why Choose a Walk-Behind Sweeper? Deciding on the right type of sweeper is necessary for any business and the chosen model should be chosen based on the type of debris that needs to be swept and the size of the area. Walk-behind types are manually controlled by the user, who pushes the machine across the floor area to collect dirt and other debris. Walk-behind sweepers are known for being user-friendly, easy for learning how to use, and require no prerequisite training. Also, most models feature a few speed propulsion settings, which not only reduces cleaning times but also lowers the chance of the operator being hurt or fatigued. They are easily manoeuvred and the user’s reach is increased in width due to dual side brushes resulting in greater productivity. In addition, cleaning times are reduced due to the machines ability to move comfortably in both forward and reverse directions. A few more great attributes is the emission efficiency (no fumes! ), minimal noise output and being equipped with quality filters that trap dust, which make a healthier and more productive environment for both your staff and patrons. The roughest industrial and manufacturing environments become easy to clean with the sweeper’s durable and robust build. Furthermore, the brushes sophisticated pressure adjustment technology delivers unabridged cleaning in the harshest conditions. Some of the most important attributes of walk-behind models are their capability to withstand daily and industrial use in both outdoor and indoor areas. Unique filtration systems gather both fine dust and large dirt particles leaving a place without any spots or stains. Typically, most walk-behind sweepers are made in three variations: petrol powered, battery powered and those that are manually pushed. All three types are great for a range of commercial and industrial situations and offer all of the features discussed above. Walk-behind sweepers are a necessary addition to any commercial business’ workplace. They are effective and efficient cleaners, and they come with so many options to suit your specific needs. Walk-behind sweepers are reliable and can increase a business’ productivity. Moreover, their stability and durable design makes them suitable for a varied range of environments such as offices, workshop floors, schools, railway stations, shopping complexes, parking lots and petrol stations. With little-to-no time spent on maintenance and repairs, walk-behind sweepers are an inexpensive way to keep your business clean!